Hello and welcome! My name is Dr. Noah Levine. I am looking for hardworking, motivated individuals to join our team here at Absolute Foot Care Specialists. We are dedicated to serving the many health-needs of our patients throughout their lifetime. We are looking for team members who not only want to build their careers, but learn more and grow—personally and with a practice as well—all while serving the often overworked feet of Las Vegas. We want more than just employees: we’re searching for people who are willing to partner with us as we serve our neighbors and surrounding communities. Currently, we have a few specific positions to fill: a medical assistant and an associate doctor. As a medical assistant, you will help the doctor care for patients and make sure everyone’s needs are met. You will help record patient histories, ascertain specific foot complaints and symptoms, and assist the doctor with tests. You need to be caring, sympathetic, and able to work with people who are in pain. You need to work with a cheerful and flexible mindset that allows you to adapt quickly to new tasks and communicate effectively with both the patients and the doctors you are supporting. You may be required to work some evening hours. The ability to speak conversational Spanish or Vietnamese is highly appreciated but not required. You do not need previous experience working in a medical office, though we do recommend it. Certification as a Podiatric Medical Assistant is also appreciated but not required. As an associate doctor, you will work closely with Dr. Noah Levine to help alleviate patient loads. We’re looking for a partner who will be as invested in our practice and our communities as we are. We need someone who is willing to learn and doesn’t consider any aspect of the job beneath him or her. 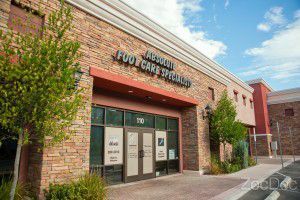 Our ideal candidate at Absolute Foot Care Specialsits is a compassionate, hard worker who is willing to put in some evening hours and commits 100% to both our team and helping our patients. We need an associate who is experienced in both surgery and conservative treatment solutions. We also want someone who highly values customer service and strives to create a positive experience for all patients. You will need to be able to follow our patient protocols and contribute to any practice marketing plans we create. An ability to speak conversational Spanish is appreciated but not required. Want to Learn More About Absolute Foot Care Specialists? If you are interested in one of these positions, we encourage you to explore this site for more information about our practice, working in Las Vegas, and how to apply. We hope this will help you determine if working in the City of Lights would be a good fit for you. We’re looking for someone to partner with us who understands that the day isn’t really over until all patients’ needs are met. Are you the next member of the Absolute Foot Care Specialists team?